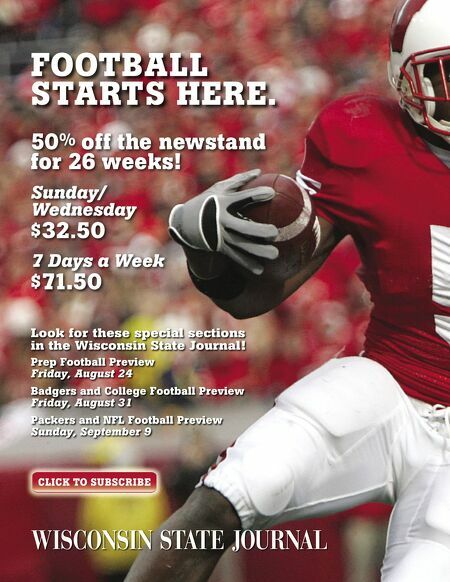 Wisconsin Athletic Communications Kellner Hall, 1440 Monroe St., Madison, WI 53711 Subscribe to Varsity View All Issues Brian Lucas Director of Athletic Communications Julia Hujet Editor Brian Mason Managing Editor Mike Lucas Senior Writer Matt Lepay Columnist Drew Scharenbroch Video Production Drew Pittner-Smith Advertising Ryan Sedevie Distribution Contributors Paul Capobianco, Tam Flarup, Patrick Herb, Ross LaDue, Diane Nordstrom, Anna Poulter-Hendrickson, Jeremy Wodajo Photography David Stluka, Greg Anderson, Del Brown, Bob Campbell, Ross LaDue, Icon SMI Problems or Accessibility Issues? 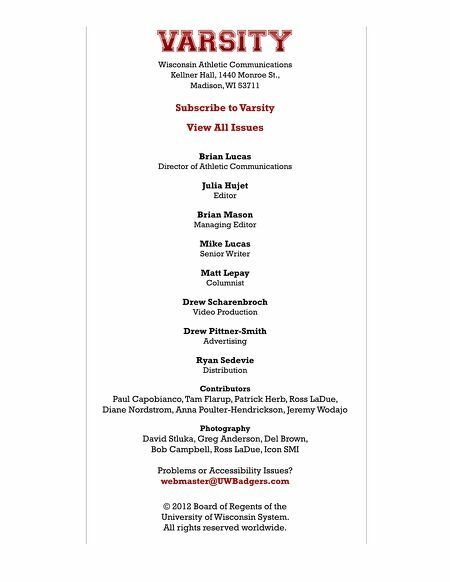 webmaster@UWBadgers.com © 2012 Board of Regents of the University of Wisconsin System. All rights reserved worldwide.